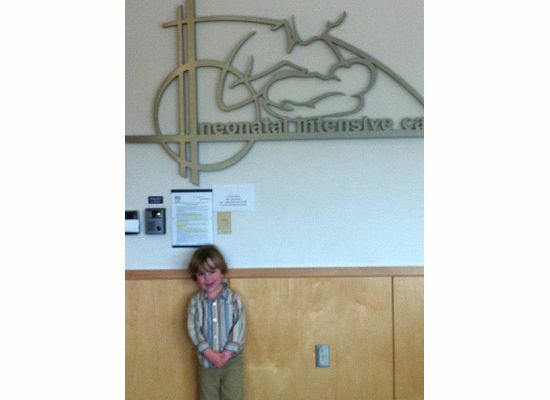 Today my mom, Noah and I headed to Childrens to visit Liam in the NICU. Noah can't come in because it's RSV season so my mom and I had to take turns to visit Liam. Liam was doing just great and was taking all of his bottles, yay! They were only giving him Tylenol for pain and he was doing fabulous. My mom actually held Liam for the first time today! I wasn't able to witness it since I was in the waiting room with Noah. Speaking of the waiting room with Noah...I have quite the embarrassing story to tell. Noah has the patience of a typical 3 year old which is zero. He was getting very bored while we waited for my mom so I asked if he wanted to play Simon Says. He agreed and got very excited. I started the game with "Simon says, stomp your feet!" and "Simon says, clap your hands!". I about died when Noah said "Simon says, shake your boobies!". Yep. That's my son who just said that within hearing distance of all the med residents and students. Awesome. I didn't know what to do. The "good example mom" told him that's not nice and tried to ignore it while the real me was laughing inside like a 12 year old boy. Noah always keeps things interesting! Anyway, back to Liam! The nurse was acting like we would room in tomorrow night and then go home on Saturday. I am excited, the end is really near! Tonight Clint and I "nested" and got Liam's room already, swept and mopped the floors and did all of our laundry. Bring it on! 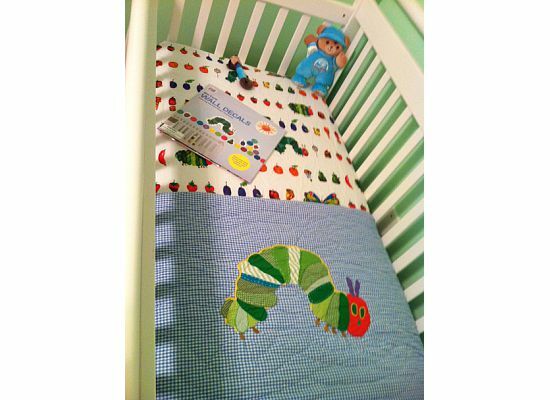 We are way ready and very excited to have our little Liam home. 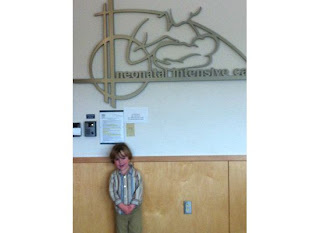 Noah was so excited to visit "Liam's new house" at Childrens Hospital. 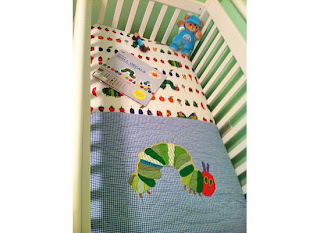 Liam's nursery is the Hungry Hungry Caterpillar!